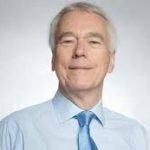 In this lecture given by Robert Tombs at the French Ambassador’s Residence, 22 May 2018, Robett Tombs argues that Britain and France are Europe’s only great powers, the only ones willing and able to make real efforts and sacrifices in the wider world. We are also Europe’s oldest large democracies. In today’s world, close partnerships and friendships are to be treasured and fostered, not only between politicians but between peoples. Brexit has raised a serious challenge. Much in our future relationship will depend on how France responds. It is hardly necessary to convince anyone here that the long relationship between France and Britain has been of immense importance. As Kipling put it in a poem that Her Majesty the Queen quoted during her last state visit to France: their destiny was ‘Each to mould the other’s fate as he wrought his own.’ The great French historian Jules Michelet said that the French first realized that they were French through their struggles with the English. In a book that my wife Isabelle and I wrote some years ago on this subject, we suggested that this relationship was ‘unique … et plus importante que toutes celles qu’ont entretenues ces deux pays.’ We didn’t agree on everything – we still don’t – but we do agree on that. This is not to suggest that both countries do not have other relationships of great importance: all great nations do. Obvious examples would be the deep cultural connection over the centuries between France and Italy; the fateful rivalry between France and Germany; England’s long economic, cultural and political links with the Low Countries; or our four centuries of evolving ties with North America. Yet we would still argue that the cross-Channel relationship is unique. After all, the two countries repeatedly almost became one: England very nearly had a French King Louis in 1215; France did have two English Kings (Henry V and VI) in the 1420s; de Gaulle and Churchill wanted a Franco-British Union in 1940, and Prime Minister Guy Mollet again suggested it in 1956. But the fact that we never actually tied the knot reminds us of a crucial aspect to this relationship: its ambivalence. We have been both friends and enemies: indeed, the closest of friends, and the bitterest of enemies. We have always had mixed feelings of admiration and resentment, even when we were enemies – and even when we were allies. Is it very different now? This sensitivity of feeling marks out our relationship as special and rather changeable. But there is a second, even more important aspect to this unique relationship: its global importance. Many international connections are important for the countries involved; but very few have changed the world. Ours has, and profoundly. When Louis XIV and William of Orange began ‘the second hundred years’ war’ (as the Cambridge historian Sir John Seeley called it), it came at a time when the world was entering its first age of globalization. So our European conflict became a world struggle, which spilled over into America, Asia, Africa and the Pacific, and changed them all profoundly. Britain and France became the two major imperial powers, largely in rivalry with each other. This rivalry, though sometimes mixed with cooperation and alliance, lasted as long as their empires lasted – indeed, even longer. These three centuries of global competition and activity have left an important legacy: that Britain and France are today Europe’s only two international powers, the only two European states that maintain both the means and the desire (for political psychology is important here) to play an effective political, diplomatic and frequently a military role in the wider world. We have seen this in recent years, even in recent months, in Syria, Iraq, Libya, Afghanistan, and Africa. I do not judge whether this has been beneficial, simply that it is a fact. Critics, perhaps particularly in Britain, deplore these activities, or at least some of them. A common refrain is that they hark back nostalgically to an age of empire; that we should reject this tradition and moreover accept the fact that we are now a country (or perhaps two countries) of diminished importance, just two medium-sized European states with delusions of grandeur. One can of course criticize particular policies, but the general argument – which we can conveniently call ‘declinism’ — is exaggerated, indeed illusory. Britain and France no longer have empires, true; but those empires were usually a drain on resources — ‘a millstone round our necks’ said Disraeli. One of my Cambridge colleagues has described the British empire at its height as ‘a brontosaurus with huge, vulnerable limbs which the central nervous system had little capacity to protect, direct or control’; and the same could be said of every empire. The great change in the global system has been the rise of the United States during and after the Second World War. The absolute and relative power of the other states, including of course France and Britain, has changed very little over the last three centuries. If we go back to the age of Louis XIV, where I started a few moments ago, we would list the most powerful states in the world as China, India, France, Germany, Russia, Turkey, Britain. Apart from the USA, the list has hardly changed. A recent comparison by the Henry Jackson Society of what it calls the ‘geopolitical capability’ of today’s eight major powers (which are largely the same as my Louis XIV list) places Britain second and France third, ahead of China, India, Russia, Japan and Germany. The neighbouring European states that were once our rivals, and sometimes our enemies, have either shrunk or disappeared. 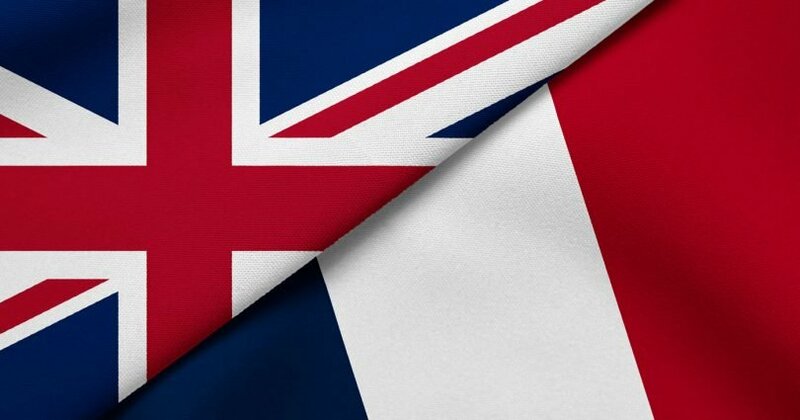 By this measure (which includes not only military strength, but also economic and technological power, and cultural and diplomatic influence) Britain and France are broadly in the same position as they were a century or two ago – or perhaps a little higher. That gives us a big responsibility. 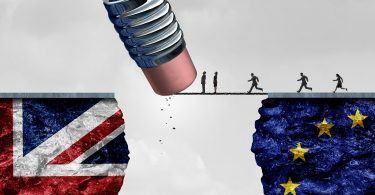 L’enjeu pour la France reste bien, en dépit du Brexit, d’ancrer le Royaume-Uni dans une coopération bilatérale […] et ainsi de maintenir une relation de défense privilégiée avec le seul pays européen toujours doté d’ambitions globales, d’une dissuasion nucléaire et de la capacité de mener des opérations de haute intensité. Will Britain’s decision to leave the European Union change this? There is no logical reason why it should, and the French government’s position, which I have just quoted, says not. Our cooperation is based on bilateral accords, on NATO, and on membership of the UN Security Council. But logic does not rule politics; and besides more than one logic may be at work, and they may conflict. To be precise, we have the pull of two other relationships that I mentioned a few minutes ago: that of France with Germany, and of Britain with the United States and the Anglosphere more generally. The French international historian Robert Frank has called this ‘l’obsession allemande des Français et l’obsession américaine des Britanniques’. These relationships have shaped, and still shape, our attitudes towards Europe. Since the 1920s, if not earlier, French politicians and intellectuals have been drawn to the idea of a united Europe, primarily to maintain a safe relationship with Germany. Britain, since the 1960s, was pushed into an attempt to be ‘at the heart of Europe’ not least by the desire to buttress its ‘special relationship’ with America, as was so clearly seen when Barack Obama lent his support, at David Cameron’s request, to the Remain campaign before the Referendum. What France and Britain had in common was a strong tendency to ‘declinism’: that feeling of weakness and failure that seems particularly to have afflicted their governing elites. For both, attachment to Europe seemed the only way of maintaining their security and position as global players. As one senior British official put it in the 1970s, Britain was the ‘sinking Titanic’, and Europe ‘the lifeboat’. I think, and hope, that this ‘declinist’ obsession has diminished. It certainly has among the British electorate, as the 2016 referendum result showed. Perhaps too in France. But perhaps less within official and political elites – so it seems in Britain. 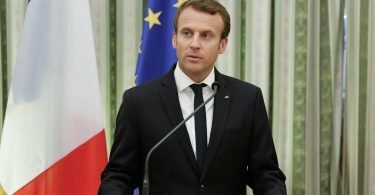 What should the response of the French government be to Britain after Brexit? This is an issue of historic importance. There is a precedent, as Professor John Keiger, a leading expert on foreign policy, has recently pointed out: fifty years before Brexit there was a Frexit. In March 1966, General de Gaulle’s France shocked its partners by announcing its withdrawal from the military structures of NATO. There was considerable ill feeling and some wanted France to be punished. But wisely, the NATO partners decided that France’s decision should be accepted and facilitated in the long-term interests of all. Secret accords were signed detailing how in an emergency French forces could rejoin the NATO command structure, and various kinds of ‘cherry picking’ were permitted. This was clearly the wise response. The French government is undoubtedly in a difficult position today. Its partnership with Britain suggests one course of action. Its commitment to the EU and partnership with Germany pulls in another. Its dilemma is certainly not helped by the lamentable weakness and indecision of the British government, and by the persistent agitation of the pro-Remain lobby in parts of the press and the political and official class (for example those ensconced in the House of Lords). I would respectfully suggest that the French government should not place too much reliance on groups that are casting themselves as des émigrés de l’intérieur. At times such as this, statesmanship and the long view are required. It might be tempting to some in France – certainly some in the French media — to see Britain humiliated. But it is evidently in the long-term interests of France to have a Britain willing and able to continue a positive relationship both bilaterally with France and with the EU. It is not in France’s interests to have a Britain plunged into political and constitutional crisis, or attached unwillingly to EU institutions as an unhappy and obstructive presence. Like all other aspects of government – and perhaps more than most — foreign policy in a democracy depends on the willingness of the people to accept and sustain it. la France et le Royaume-Uni [affirment] qu’il ne pouvait y avoir de situation dans laquelle les intérêts vitaux de l’un seraient menacés sans que les intérêts vitaux de l’autre ne le soient aussi. Brexit has raised a serious problem. Much in our future relationship will depend on how France responds. Robert Tombs is emeritus professor of French History, University of Cambridge, and co-editor of Briefings for Brexit. John Keiger, ‘France and Brexit: lessons from history’ The Spectator Coffee House (18 Jan. 2018).